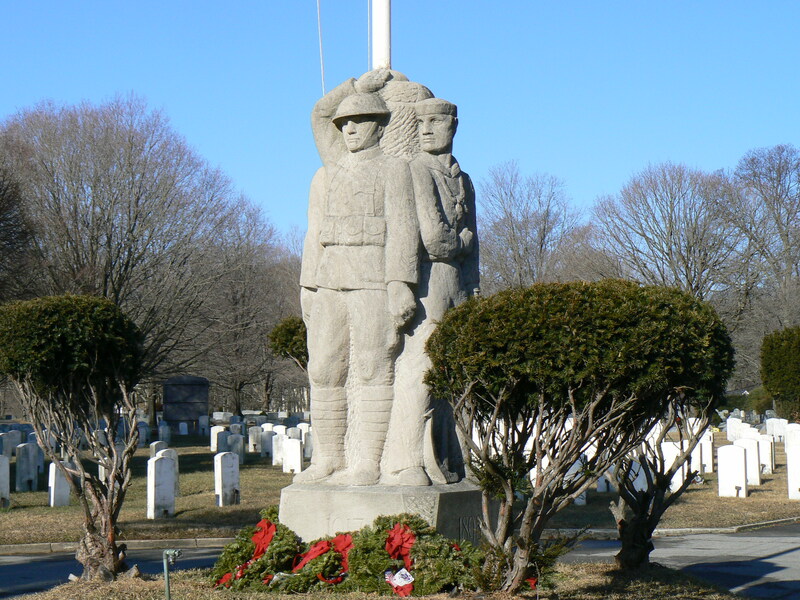 The Darien police and a local VFW post are raising money to restore the 1936 memorial flagpole honoring veterans in Spring Grove Cemetery. The memorial flagpole, which we visited a little over a year ago, was designed by sculptor Karl Lang, who was also responsible for the Timothy Ahern memorial statue in New Haven. According to coverage in the Darien Times, the groups hope to replace the plants in the traffic circle surrounding the flagpole’s base. The base has figures symbolizing veterans of the Civil War, the Spanish-American War and World War I, and organizers hope to replace the plantings by Memorial Day. 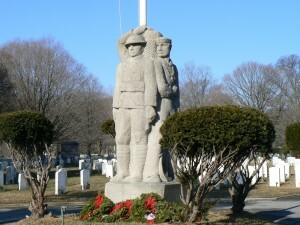 Spring Grove Cemetery served as Connecticut’s veterans’ cemetery when the state’s first veteran’s home, the Fitch Home for Veterans and Their Orphans, operated in Darien. The Fitch facility served veterans between 1864 and 1940, when the state veterans’ home moved to Rocky Hill. 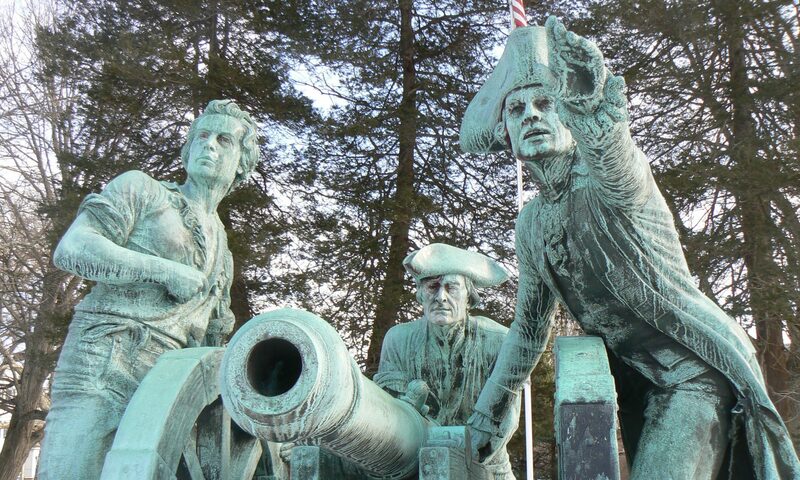 Spring Grove is the final resting place for 2,184 veterans.